Within the last two decades, online giant Amazon has transformed the supply chain. Before Amazon Prime set a benchmark, it was acceptable for companies to take weeks or even months to ship items to consumers. This leisurely pace, limited by the technology of the time, dramatically reduced the convenience of online shopping. By creating a subscription service and taking a loss on certain costs, Amazon built an empire of consumers trained to buy more than they normally would, according to MIT Technology Review. Of course, other retailers raced to catch up and now the whole sector functions at consistent super speed. The result: Warehouses have had to dramatically streamline operations while maintaining order accuracy. To help keep this pace, supply chain providers are turning more toward large-scale automation and management software. However, effectively implementing these solutions requires more than just buying software and installing it. Effective automation relies on data, which must be collected at multiple points throughout the warehouse. In short: Mobile data collection is more vital than ever. "About 51 percent of consumers primarily shop online, and this number is expected to grow." A report titled "Global Warehouse Management Systems Market: Overview" was released at the start of 2018 and highlights expected rapid growth in the warehouse management systems sector. The report targeted global growth, stating that developing regions, including the Middle East and Africa, are going to help drive increased market size. This is true across all industries, including pharmaceutical, food and beverage and retail. The growth of e-commerce is also a major factor. National Retail Federation data found that 51 percent of consumers primarily shop online, and this number is expected to grow. With last-mile delivery improving through increasing automation, organizations should only expect more order traffic. Companies within the warehouse sector are relying more on radio frequency identification solutions. While this software can increase inventory visibility and improve order accuracy, it requires a central management system to help decipher the greater data flow. As with many technologies in the sector, a warehouse management system is needed to realize effectiveness. If a warehouse wants to properly utilize a warehouse management system, then it must be able to feed said software real-time data from multiple points in the company simultaneously. This rules out all forms of paper record keeping. Recording numbers at one point before manually transferring them takes time - during which the inventory or some other condition may have changed. This increases the likelihood that the management system will provide inaccurate information and that errors won't be spotted in time to reduce damage. 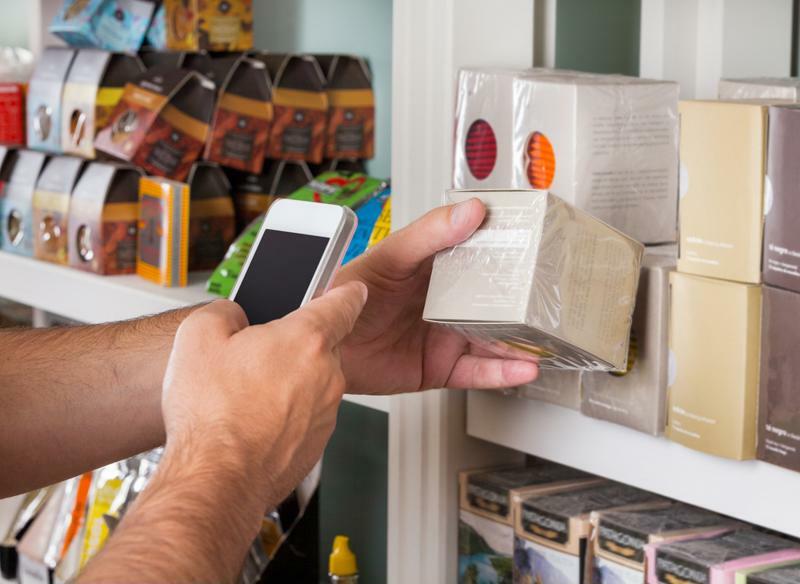 According to Zebra, the Visible Value blog, mobile barcode scanners can enter data instantaneously once connected to a warehouse management system. These devices transmit in real time, speeding up data acquisition. In some cases, these portable scanners can read barcodes at a distance of 50 feet, letting employees navigate the warehouse environment far more quickly. While these devices are high tech, hardware manufacturers understand the harshness of a warehouse setting. This makes dedicated portable scanners far more hardy than the average smartphone. Voice picking opens up the possibility of hands-free data entry. According to The Balance, voice picking allows warehouse workers to simply say the items they are picking, eliminating the need for paper clipboards and distraction. Most software now has effective voice recognition to combat the noisy atmosphere of many warehouses. Another advantage of voice picking is the immediate detection of mispicks. The software immediately knows if the wrong item has been selected and can alert the worker of the mistake. Many of these solutions are designed to work in areas without a stable network connection, storing data to the devices themselves for a short amount of time. However, this internet downtime should still be avoided at all costs. Media converters can be installed to extend network distances by up to nearly 80 miles - more than enough to cover a warehouse and even any autonomous support vehicles operating nearby. While smartphones can work in some environments, warehouse executives should factor in the risk of using any potentially fragile equipment. 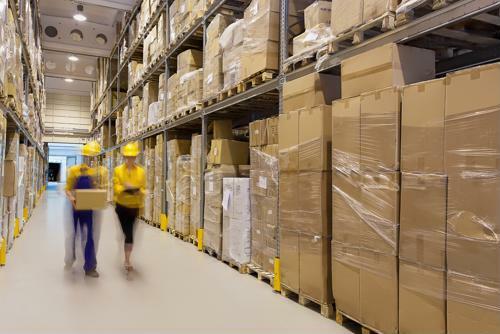 As warehouses rush to keep pace with the compounding demands of e-commerce and consumer expectations, you need a space optimized to effectively run a warehouse management solution. Perle has the expertise and the hardware needed to strengthen your network, giving you clear visibility into your operations at all times. Contact us today to find out how we can improve your supply chain efficiency with modern, secure internet of things capable solutions. Should your company adopt wearable tech?